”My father brought home three coffee seedlings from the agricultural union’s office a few years ago. He planted them, but didn’t really know what else to do with them. When the first cherries ripened on these three coffee plants I dried them and planted them. Now I have around 5000 coffee plants and plan to plant 5000 more. All from those three seedlings, amazing, isn’t it?”, explains Rajesh Itani. Rajesh, who is otherwise a director of a successful tourist agency in Kathmandu is well aware that coffee is in demand in Nepal and that it can bring a fair sum of money to those who know how to grow it well. And not only are more and more farmers growing it, more and more coffee shops are popping up in the city center. Plenty of these hip coffee hubs can be found around the main tourist and expat areas, which actually makes sense because these are the places where one is most likely to find coffee addicts. Despite the fact that plenty of coffee is grown, produced and sold in Nepal, the Nepalese generally prefer to drink black tea or milk tea. But this habit will probably slowly change as coffee is already perceived as a social status symbol. One cup of French-pressed, filtered, AeroPressed or brewed with any other method will cost you around 200 NPR ($2), an amount for which you can buy a big meal together with a soft drink at a local restaurant. For a single cup of coffee you can get six cups of tea or more. It is clear that coffee business is drawing in big sums of money and as in other businesses those who are at the bottom of the production chain end up with less than they deserve. 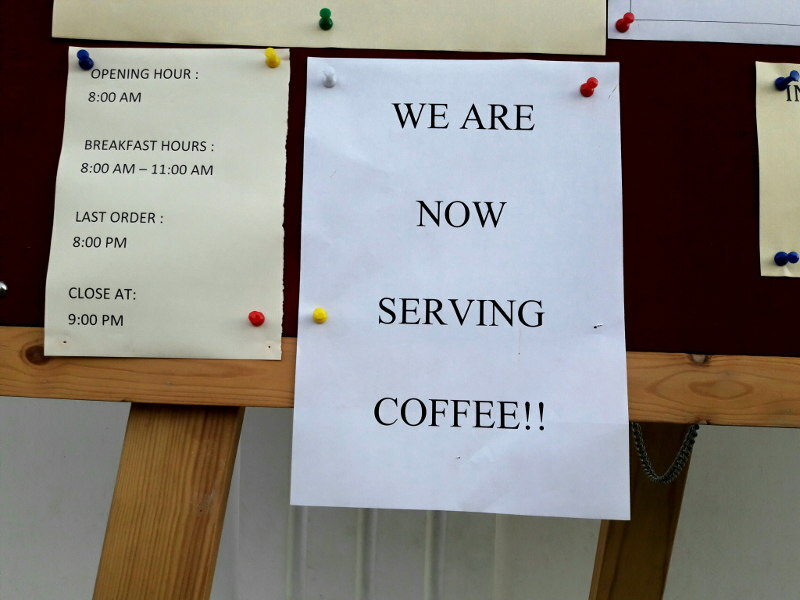 To avoid various middle points, direct sales is a much needed solution for the coffee farmers in Nepal. The concept has not yet been used here and our team will travel to Gorkha district to visit a villages where plenty of coffee is grown by individual farmers who are not under contract with any company or cooperative. The concept is simple: ten farmers that will wish to participate in the direct sales scheme will start to cooperate with our team. They will be the first to sell organically grown green coffee beans through the proposed online direct sales scheme. By doing this they will have the chance to be the first participants of the project, and the first who will be selling their coffee directly to the European market. But the project runs in both directions, its aim is not only to empower coffee growers through alternative economic models that give them more freedom and stability, the primary aim is to set up a connection, a connection that would otherwise be impossible and a few years back even unthinkable. By connecting the European consumers with the direct producers, one gets a chance to be less alienated from the product he consumes – i.e. the casual coffee drinker that does not know anything about liters of coffee that he consumes weekly, will thus have a chance to know his product, know the people behind the product and establish direct ties with them; their daily lives, their aspirations and hopes for future development of the coffee production, the mutual economic and personal interest that ties the two worlds together. By establishing the connection between the two, we aspire to create a platform that will join the best of both worlds. Although our aspirations for the project are quite ambitious, we will start with a simple, very reasonable step. In order to establish the platform we first need to assess the actual coffee production situation in the Gorkha district. Although contacts have already been made with farmers in this remote area of Nepal Himalayas, our team will head out to the villages next week to get the project running. 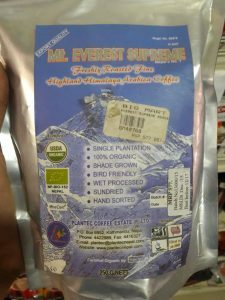 The final aim of the project is the creation of the platform that will function independently, but before the project gets into that stage, there will be a trial stage, or the first part of the project, that will help us evaluate the market potentials and the demand for Nepalese coffee in Europe. In order to achieve this, and get the first funds to the villages as soon as possible (to secure that the next year’s batch of coffee will be even better), we will set up a crowdfunding campaign that will serve as a temporary link between the coffee growers and the coffee consumers. This link will provide all the information that the coffee growers will share with us, along with photo and video material that will help make the distant world of Himalayan coffee growing available to the most passionate coffee drinkers among us. With donating to the crowdfunding scheme, the donators will thus support the project in two ways: they will give the much necessary funds to the Gorkha farmers, and they will invest in the future development of the coffee production in Nepal. 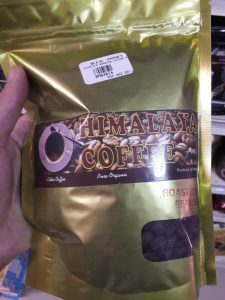 In every view, this means that in the future this will bring better, more reliable and more consumer friendly coffee products from the Nepal Himalayas.